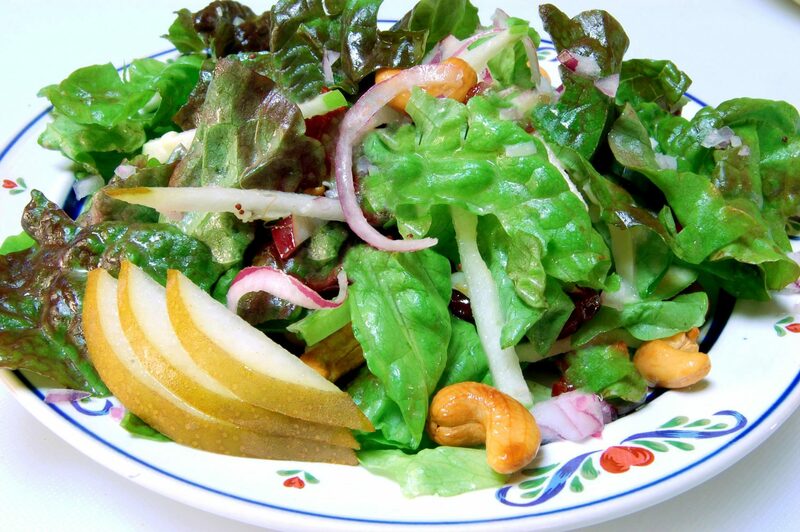 Place greens into a large salad bowl. Add the diced Asian pear, nuts, dried cranberries and cheese. Drizzle salad with desired amount of dressing. Add all ingredients in a blender or food mini prep and mix until well blended. Can be made the day before.